Academy Award-, Golden Globe-, Tony-, Grammy Award- and Emmy-winning actress Whoopi Goldberg chats it up daily with Barbara Walters, Sherri Shepherd and Jenny McCarthy on “The View.” And recently I had the chance to chat it up with this accomplished and multitalented woman about her latest project, Lifetime Television’s original movie “A Day Late and a Dollar Short,” based on the book by bestselling author Terry McMillan (of “How Stella Got Her Groove Back” fame). The movie, which also stars Ving Rhames, Mekhi Phifer, Anika Noni Rose and many more, premieres Saturday, April 19 at 8/7c. 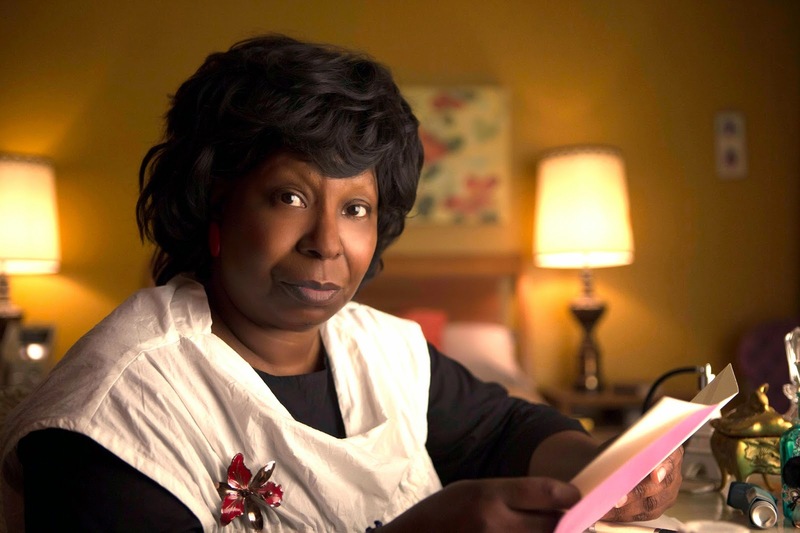 Whoopi plays matriarch Viola Price, a woman who learns that her next asthma attack likely will kill her, so she is determined to fix her fractured family before she leaves this world.